Each year we have an AGM so members can receive a report on our activities, review our financial statements, elect board members, and appoint our auditors. Everyone is welcome to attend the meeting in-person or by conference call. Everyone is welcome to attend the meeting in-person or by conference call. Unfortunately, government legislation limits voting to those present in the room. If you are a member who cannot make it to Toronto, you can use this proxy form for someone to vote in your stead. 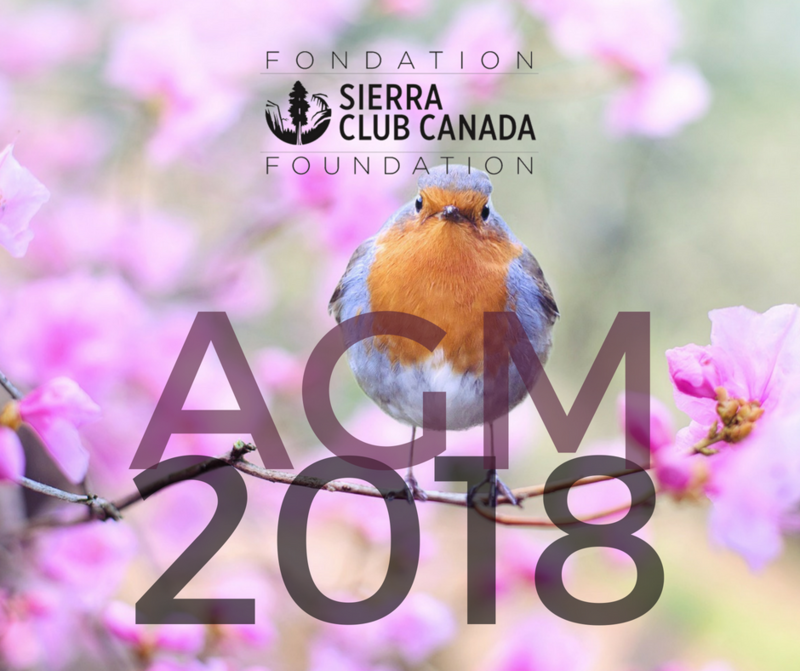 Your proxy must be received by June 14, at our office by mail to PO Box 2007 STN B Ottawa ON K1P 5W3 or by email (scanned or re-saved as a pdf file) to scc-admin@sierraclub.ca. If you have any difficulties viewing or downloading the form, please email us at scc-admin@sierraclub.ca. Anyone attending the meeting may also bring it with him or her to vote on your behalf. It is very important to send in a proxy if you can't attend, so we can ensure we have quorum to conduct the meeting's business, including electing the board. We really appreciate your effort to do so. You can appoint anyone you know who will be attending as your proxy (they do not have to be a member themselves.) Feel free to name Gretchen Fitzgerald, our National Programs Director or David Snider, Board Vice President, as your proxy options. It's not too late to put your name forward if you wish to run for the board! Please see the call for nominations here. Your membership allows you to run for a position on the board, to vote at the meeting, or to appoint a proxy to attend in your place. If you would like to participate by conference call, please email us at scc-admin@sierraclub.ca for further details. If your membership has expired, I hope you will take the opportunity to renew your membership today. The planet needs you now more than ever before. Thank you for your important commitment to our work!